Found this one on Pinterest again. It looks so quiet now without people in the shot. BUt I like to find paradise pictures with no people in them so we can imagine ourselves there, or something. 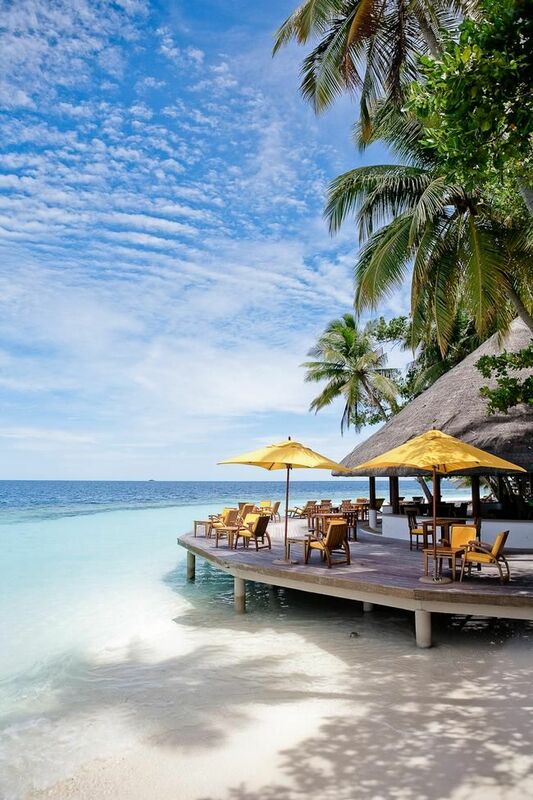 This is thr Velaavani Bar, Angsana Ihuru located in the Maldives and the pin leads to this site, where I do not see the actual photo on that page, however Tineye led me to this Expedia page.